Thank you for feedback on AGT Battery stock # SL69903 where the description needed clarification as to what this part actually includes. We have changed the picture to show the exact part (below). The Streamlight 69903 is a 12 gauge magazine tube mounting bracket with Picatinny rails for a shotgun. It is for holding Streamlight tactical flashlights such as the TLR series and Super Tac flashlights to 12 gauge shotguns. 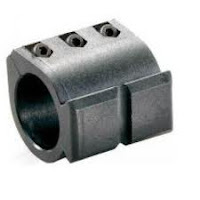 This is the tube bracket only (as pictured here) for attaching to a 12 gauge shotgun tube. Then the specific bracket or integrated holder clamping onto whichever flashlight you have slides onto the Picatinny rails of the #69903 shotgun tube bracket.